Today I used leftovers from yesterday's bento to create this one. 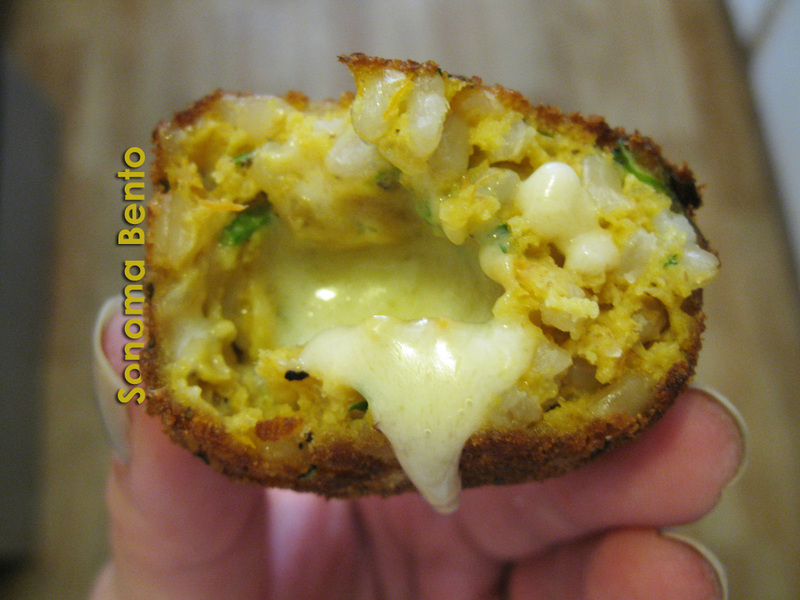 Arancini are fried rice balls with cheese inside of them. Um, thanks Italy for the AMAZING idea. I used leftover brown rice as well as some of my exploded sweet potato to form these rice balls, and each has a cube of white cheddar inside. Also in this bento: steamed broccolini from the West End Farmers Market, and a yellow tomato also from the West End Farmers Market. I used a recipe from Giada de Laurentiis as the basis for my recipe. I have included a loose recipe below, but the measurements are not exact. Look at that oozy yummy cheesy goodness! 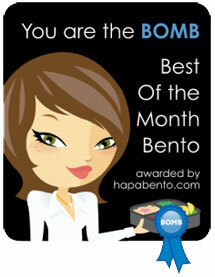 These are the best soon after they are made, but they are also a delicious bento staple. 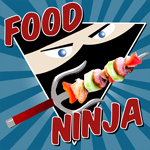 Combine above ingredients in a bowl. Mixture should hold together but still be sticky. Take about two tablespoons of mixture and then put in a little chunk of white cheddar cheese. Use your hands and fingers to mold the mixture around the cheese, then roll the ball in reserved breadcrumbs. Heat oil over medium heat, and fry balls in oil until browned on all sides. If you have a deep fryer, good for you. You can deep fry the balls at about 350 degrees for about 4 minutes until golden. 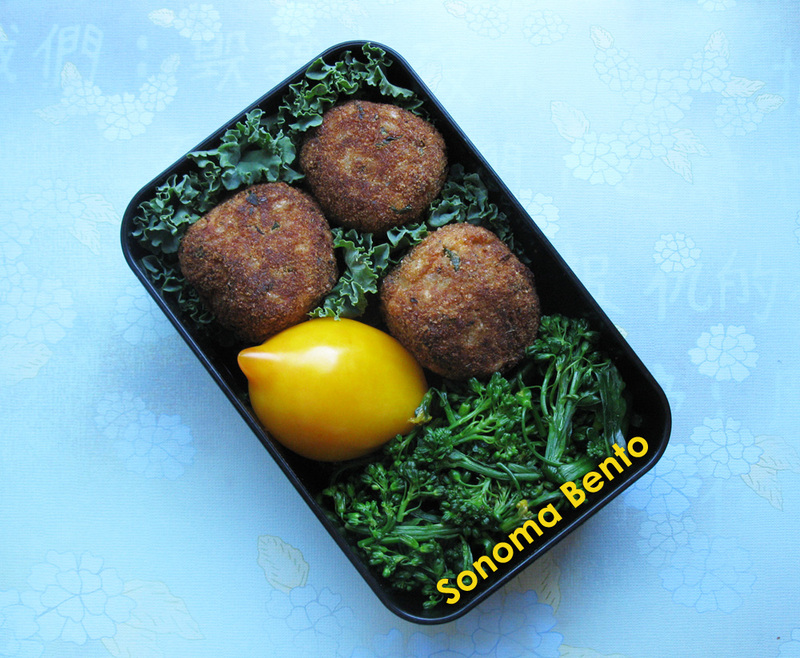 Serve either warm, or cool and add to bento box lunches. Makes about 4 large arancini.